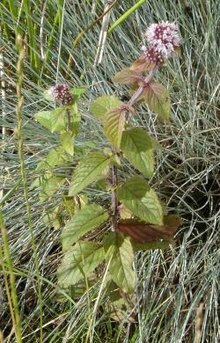 Mentha aquatica (bogmint; syn. Mentha hirsuta Huds.) is a perennial plant in the genus Mentha, that grows in damp places an is native tae much o Europe, northwast Africae an soothwast Asie. ↑ "The Plant List: A Working List of All Plant Species". Retrieved April 3, 2014.